Step up into the full-frame game with the EOS 6D Mark II DSLR Camera from Canon. Making high-performance full-frame imaging more accessible, the 6D Mark II makes numerous advancements over its predecessor to improve upon every aspect of image capture and creation. The main update comes in the form of a 26.2MP CMOS sensor and the use of the DIGIC 7 Image Processor to deliver sharper, more vivid imagery in a variety of shooting situations. This setup offers an improved native sensitivity range of ISO 100-40000, which can then be expanded to ISO 50-102400, as well as speedy shooting rates of up to 6.5 fps. 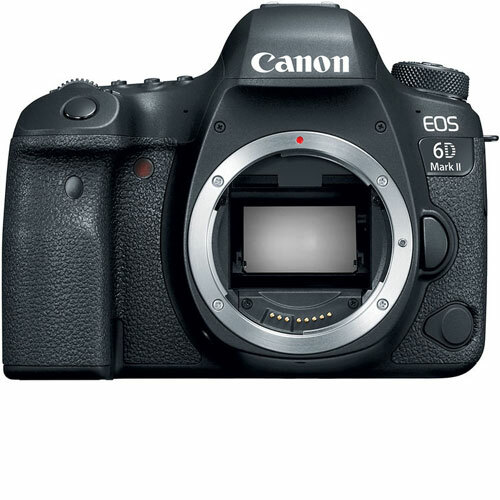 Canon EOS 6D mk II digital SLR camera hire is available for rent or hire from RENTaCAM Sydney.